Sinatra, Streisand, Rosemary Clooney and Tony Bennett — even Fred Astaire — have all recorded their songs: The husband-and-wife team of Marilyn and Alan Bergman has been writing irresistible tunes together for 50 years. 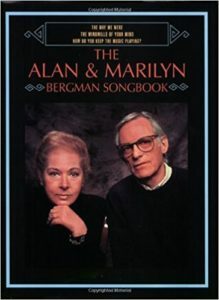 Their songs include “Nice & Easy,” “In the Heat of the Night” (recorded by Ray Charles), “That Face,” “You Must Believe in Spring,” “The Way We Were” and “What Are You Doing the Rest of Your Life?”; they’ve written the lyrics for music featured in films as diverse as Tootsie and the original Thomas Crown Affair. 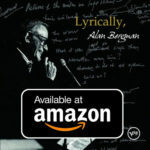 Alan Bergman has recorded an album of their songs with the Berlin Radio Orchestra; it’s called Lyrically.